Information for on-premises deployments of API Fortress. Regardless of the deployment method used, to use the Mocking service you will need to apply one change in your DNS. As mocked services will be accessible via subdomains of the dashboard. This tutorial assumes that the reader is familiar with some standard procedures in Kubernetes (creating secrets, creating config-maps etc.) If you are not familiar with these processes, please refer to the Kubernetes documentation. If your cluster is not allowed to communicate with DockerHub or is incapable of logging in, you will need to manually pull (from DockerHub) and push (to your private repository) images. The whole guide and annexed configuration files have been built upon hands-on experience with the Google GCloud Kubernetes service. Some tweaking may be required if using a different provider. memorySettings (optional parameter) describe the minimum and maxium heap memory the process can use. Xmx should be set to 1/2 of the available memory of the process. You don’t need to tweak these values if you don’t change the overall available memory. as well as the settings in the AFMAILER Microservice should be completed to allow the platform to generate emails. 4. The Load Balancer is the mechanism for communicating with the platform. This can be replaced with a NodePort or Ingress if required, according to the configuration of your system. 5. Ensure that all the ports exposed in the descriptor match your expectations. As a default, the dashboard will run on port 8080 and the liveness probe will test that to determine the service availability. Each of the database services in dependencies.yml has a preconfigured definition for the amount of disk space allocated to the service. These values can be edited to match the available disk space that you wish to provide for said services. For MongoDB the proposed memory setting is 8Gi. The minimum is 1Gi, the optimal is 16Gi. However, for the inner workings of MongoDB, any increase in memory will result in better performance. For PostgreSQL the proposed memory setting is 1Gi which is considered also an optimal setting. The minimum is 512Mi. NOTE: volume claims may need to be tweaked based on your service provider. Access the platform with the URL provided in the apifortress.xml file. Login using the default admin username and the default password (“foobar” – change it ASAP). You should now be able to access the API Fortress Dashboard. The API Fortress downloader is the agent that retrieves the resources to be tested. Downloaders can be installed in various locations, so factors such as latency and download time can be measured by remote consumers. Login to API Fortress with the admin user, access the API Fortress admin panel by clicking the “user” icon in the top right, then click Admin Panel. Choose “Downloaders” from the list of actions and click on the “Add Downloader” button. Name: Write a recognizable name. Latitude / Longitude: The geographical position of the downloader. Last Resort: Check this to make it the default downloader used. API Key, API Secret: Write these two values down for use later. Edit the downloader.yml file and enter the API Key and API Secret provided by the platform in the previous step. 7. Open the HTTP client from the tools drop-down menu in API Fortress. Attempt to contact a site that is accessible from this server environment. API Fortress should now be able to successfully communicate with other websites. Locate and open the file named application.conf. It is located in the core-server-etc directory. Line 14 of this file (fixed-pool-size) should have its value adjusted to match the desired number of maximum users per agent. Line 48 of this file (nr-of-instances) should have its value adjusted to match the desired number of maximum users per agent. These two values should match. Locate and open config.yml. It is located in core-server-etc. If the Load Agent and the API Fortress Dashboard are located on the same cluster, then you can replace the baseURL with the internal address and port of the Dashboard on the server. If the Load Agent and the API Fortress Dashboard are located on different clusters, you can replace the baseURL with the actual URL of the Dashboard. That is to say, the URL you would use to access it via web browser. The CRN value defaults to a random string. It is very recommended that you change it to something human-readable, but unique in the list. This is the internal name of the engine. Create a config-map called ‘core-0’ from the core-server-etc directory. The memory settings may vary a lot based on the number of virtual users the load agent is meant to support. The default 2Gi is generally OK for up to 50 virtual users. It is to be noted that as the process is memory, CPU and network intensive, better results are achieved by introducing more load agents versus increasing the size of each one. For the very same reason, it’s generally pointless to run multiple load agents in the server. Access the Load Testing tool by clicking on the Tools dropdown at the top of the view in API Fortress. The Load Agent that you just deployed should be visible on the right side of the screen. If you’re having the dashboard go through a gateway, it is likely that you will want to run the container in HTTP and the gateway in HTTPS. Therefore the grailsURL in the configuration will need to be in HTTPS. At this point the API Fortress dashboard will perform a hard check on the protocol at each request which will always appear as in HTTP, causing an illegal redirect. This is done for security reasons. To overcome this issue you will need to override one configuration file in the Tomcat configuration via a configMap. 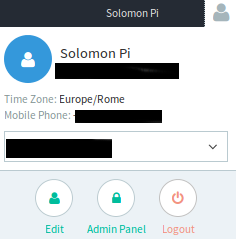 This is not the default in the API Fortress Dashboard image on purpose, again, for security reasons. We will assume that the gateway will forward the x-forwarded-proto header. By doing so, we will have API Fortress to accept the original protocol as the actual protocol being used. This tutorial assumes that the reader is familiar with some standard procedures in OpenShift (creating secrets, creating config-maps.) If you are not familiar with these processes, please refer to the OpenShift documentation. If your cluster is not allowed to communicate with a server on the internet, the “Create ImageStream” process will need to be performed by manually pulling (from DockerHub) and pushing (to your image streams) images. Create a secret in OpenShift that contains the DockerHub user credentials for the account shared with API Fortress. As the repositories on the APIF-side are private, you must submit the same account that was submitted with the configuration survey. 3. Configure apifortress.yml, downloader.yml and core-server.yml to point at the established image stream. Changing the bracketed value in the below example would change the selected imagestream. 4. The NodePort is the mechanism for communicating with the platform. This can be replaced with a LoadBalancer if required. When creating an OpenShift Route, this is where the Route should point. For the very same reason, it’s generally pointless to run multiple load agents in the server server. Note: This document is referential only to the API Fortress-HA (High Availability) deployment. Databases can be replicated using their specific mechanism and the systems will connect to the clusters. Each replica will carry the full database in a streaming replication fashion. Therefore, a failure (software, hardware, network) of any of the instances will not cause a service disruption. When a replica is brought back to life, whether it’s the same server or another, their specific replication systems will synchronize the new instance. Databases are the only components in need of a persistent state, therefore the machines spinning them need to be able to provide a persistent storage. The message queue is stateless (therefore does not require persistent storage) and queues and exchanges are replicated using the high availability internal mechanism. Services can connect to both so that if one replica goes down, the other will take care of the work without service disruption. The API Fortress dashboards are stateless (with the exclusion of in-memory web sessions) and can be scaled horizontally and load balanced. The API Fortress microservices are stateless single-instance services that can be respawed in any server, without any specific concern. The API Fortress remote workers are stateless multi-instance services that can be scaled horizontally and load balanced. Taking snapshots of the persisted database disks. 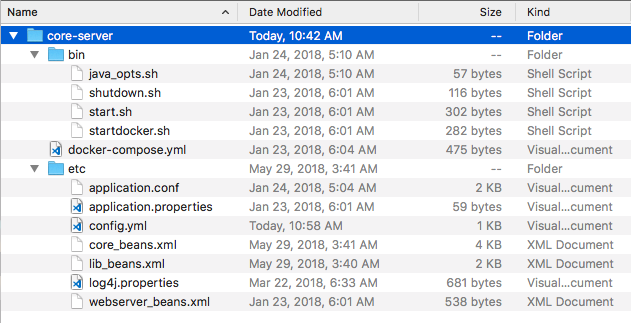 Dumping databases to files for classic restore. These procedures are described here. The actual commands may vary based on the runtime. Given the snapshot of a disk, the runtime should provide the ability to create a new disk from it. Given the dump files, you can follow the procedure described here. The actual commands may vary based on the runtime. Note: No service except the two databases require access to persistent storage. In case of a database being unreachable for connectivity issues, the system will continue working using a replica. When the issue is solved, the system will sync itself automatically. No service degradation is expected. In case of a system failure, disk failure, or data corruption, spin a new server in the same cluster with the same hostname. This will trigger the database automatic replication. No service degradation is expected. In case of a global failure of all replicas, API Fortress will stop working. Spin a new database cluster starting from a backup and restart all services. Service degradation is expected. Data loss may occur, depending on your backup strategy. In case of a message queue being unreachable for connectivity issues, the system will continue working using a replica. A respawn of the failing message queue will bring it back to the cluster. No service degradation is expected. In case of a system failure, spin a new server in the same cluster with the same hostname. No service degradation is expected. In case of a global failure of all replicas, API Fortress will stop executing scheduled tests and will not send notifications. Start a new message queue cluster. A restart of all services is not required but recommended. Service degradation is expected. When running an on-premises installation, you will certainly want to run periodic backups of all your data. In this article, we will provide you the scripts to perform a data dump of API Fortress. You will then need to wire them up in your scheduled operations system, such as cron. We will assume you have a running API Fortress installation, ability to sudo to root privileges and a general idea of how Docker works. 4. Access the /var/local/backups directory. You will find both an “apipulse” directory and a “postgres.sql” file. This is all your backup. You can now zip it and copy it wherever your backup procedures require. At this point we suggest you to clear the directory used for backup to have it empty for the next backup iteration. 6. You can now start the platform by running the ./start_all.sh script. This manual will describe a normal deployment procedure for API Fortress on-premises, using a Docker container. It is important to remember that the goal of this guide is to be as thorough as possible. It may seem long but the process is fairly straightforward. Also, don’t fret as we can provide as much help and guidance as you need. We are just a video conference away! Copy the provided core and downloader directories to the server and then type cd core/. Before anything else, let’s configure each service and prepare the environment. Most configuration keys are stored within the core/docker-compose.yml file. The only special configuration will be the storage on the host machine. Create a directory that will host PostgreSQL data in the host machine, and edit configuration file with that location. Replace the “/data/postgres” with your details. As with PostgreSQL, you are required to provide a storage location and edit the volumes key accordingly. Replace the “/data/mongodb” with your location. There are a lot of configuration keys here. None of them should be left empty (a fake value is fine if you’re not using a certain feature). See the API Fortress Configuration Guide below for an explanation of each key. To be configured after the dashboard bootstrap. Refer below. The API Fortress stack runs successfully on Docker 1.12. Type sudo docker login and input your DockerHub credentials. The default API Fortress subnet is 172.18.0.0/16. Make sure the default subnet is not in use. If it is then edit it in the create_network.sh script. Issue sudo ./create_network.sh to create a virtual subnet for API Fortress. Before you launch any service, we strongly recommend you to run a: docker-compose pull from the “core” and “downloader” directories to download all packages and preemptively verify any possible connection issue. To launch all core services, just run the start_all.sh script. It will take some time, but it will ensure every dependency is up and running before launching API Fortress. At the end of the process, the API Fortress dashboard should be up and running in the host server on port 80. You can also check for errors in the logs by issuing the: sudo docker-compose logs command. password: ‘foobar’, change it as soon as you log in. In this configuration path, we are deploying a downloader in the same server as API Fortress, and it will serve as the default downloader. 1. Edit the downloader/docker-compose.yml file and take note of the value of the ipv4_address configuration key. 2. Login to API Fortress with the admin user, access the API Fortress admin panel by clicking the “user” icon in the top right, then click Admin Panel. 3. Choose “Downloaders” from the list of actions and click on the “Add Downloader” button. 5. Edit the downloader/docker-compose.yml file and enter the API Key and API Secret. 6. Go to the downloader/ directory and issue the sudo docker-compose up -d command. If your contract includes load testing capabilities, you will need to deploy at least one load agent to use this feature. A load agent is an application that will be used by the API Fortress platform to run tests in parallel to cause higher load. This manual describes how to run the first load agent in the server running the dashboard. This setup is acceptable for testing purposes. On production, we suggest dedicating the load agent a separate machine. The directory containing the configuration for the load agent is called core-server and is part of your distribution. Locate and open config.yml. It is located at core-server/etc. A description of each configuration field you may need to alter. – adminEmail: The admin user email address, also used as login. – adminFullName: The admin’s full name. – defaultCompanyName: The company name. Note: in case you’re considering using an external PostgreSQL provider, the psqlUsername and psqlPassword parameters are also available. The database name is fixed and it’s apipulse. – apifortressMailUseSES: set to ‘true’ if you will use Amazon SES to send emails. When set to ‘false’, SMTP is used instead. – apifortressMailFrom: the email address that will be used to dispatch administrative emails. – apifortressMailSmtpHost: SMTP host to dispatch administrative emails. – amazonkey: Amazon key, if you’re using Amazon SES to send emails. – amazonsecret: Amazon secret, if you’re using Amazon SES to send emails. – apiaryClientId: client ID if you’re using Apiary services. – apiarySecret: secret, if you’re using Apiary services. – license: the license string. – twilioSid: SID, if you’re sending SMSes via Twilio. – twilioToken: token, if you’re sending SMSes via Twilio. – smsFrom: the phone number of the SMS sender, if you’re sending SMSes via Twilio. – mailFrom: the email address that will be sending notification emails. – mailUseSES: ‘true’ if you’re sending emails via Amazon SES. False if you’re using SMTP. – amazonKey: the Amazon key, if you’re sending emails via Amazon SES. – amazonSecret: the Amazon secret, if you’re sending emails via Amazon SES. – mailSmtpHost: the SMTP host. – mailSmtpPort: the SMTP port. – mailSmtpUsername: the SMTP username. – mailSmtpPassword: the SMTP password. – apifortressServerURL: the url the server will respond to. – apikey: the API key, as shown in the admin panel. – secret: the API secret, as shown in the admin panel. – port: the HTTP port the server will be listening to, in HTTP mode. – rabbitHost: the RabbitMQ host, when running in active mode. – rabbitPort: the RabbitMQ port, when running in active mode. – rabbitSsl: ‘true’ if RabbitMQ will need to communicate over SSL when running in active mode. – rabbitUsername: the RabbitMQ username when running in active mode. – rabbitPassword: the RabbitMQ password when running in active mode. – use_rabbit: ‘true’ to run in active mode. – use_http: ‘true’ to use the internal HTTP server (passive mode). – use_ssl: ‘true’ if the internal HTTP server has to run over SSL. The network configuration is also important as the IP address may be used for internal communication. networks.apifortress.ipv4_address: the reserved IP address in the API Fortress subnet. The API Fortress database comes free from data, but the provided package gives you the option to import the help tools and the connectors. These operations are meant to be run once the API Fortress stack is fully functional. Import Help From the /data directory, run the import_help.sh script. Import Connectors From the /data directory, run the import_connectors.sh script. If you need to tweak the Tomcat configuration, you will need to mount the Tomcat conf/ directory in your system. You may want to run API Fortress through a gateway that provides HTTPS support. To do so, you will need to allow Tomcat to determine which protocol was originally used to access the service.